Walk into any nursery, florist, or supermarket, and you'll encounter displays of dozens of gorgeous flowers, from chrysanthemums to orchids. At one time these fanciful blooms were the rare trophies of the rich and influential-even the carnation, today thought of as one of the humblest cut flowers. Every blossom we take for granted now is the product of painstaking and imaginative planning, breeding, horticultural ingenuity, and sometimes chance. The personalities of the breeders, from an Indiana farmer to Admiral Lord Gambier's gardener, were as various and compelling as the beauty they conjured from skilled hybridization. 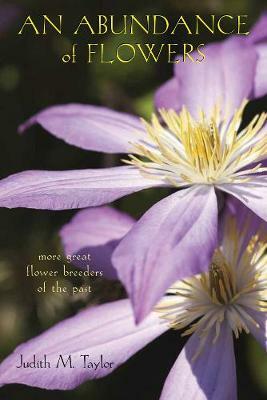 "A well-researched volume for those who are deeply interested in the history of plant breeding and past plant breeders, the development of horticulture as a profession, and the flowers featured."